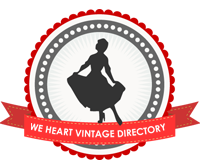 Today is the last of the posts about the Barbie convention! 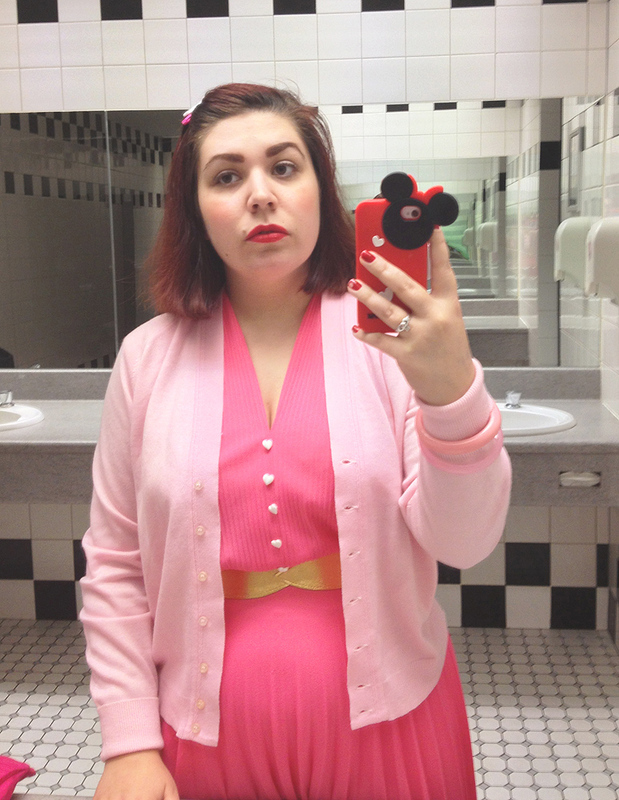 I wore another pink outfit for Sunday but was so exhausted I didn't get a proper photo of it. The pleats look so sharp in this photo. I wore my glittery loafers again as they're very comfortable and Sunday was sales room day! 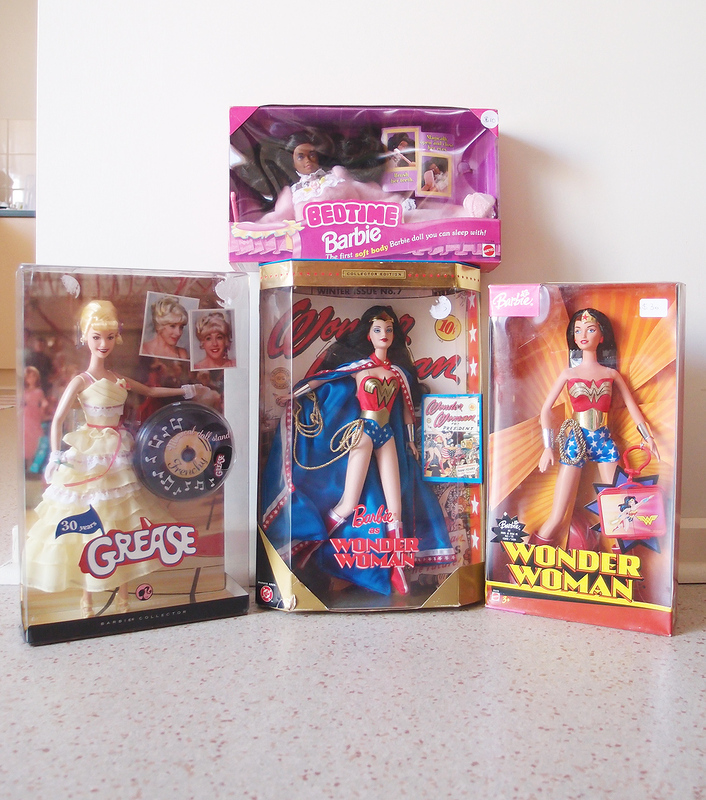 I was hoping to find some more vintage Barbies but I ended up with a lot of boxed dolls from the 80s on. I remembered the day after, though, that there was a really rare doll that I'd wanted to go back and look at again but I forgot. I probably wouldn't have been able to afford it, though, despite having been saving for this for ages. I'm incredibly happy with what I did find, anyway. 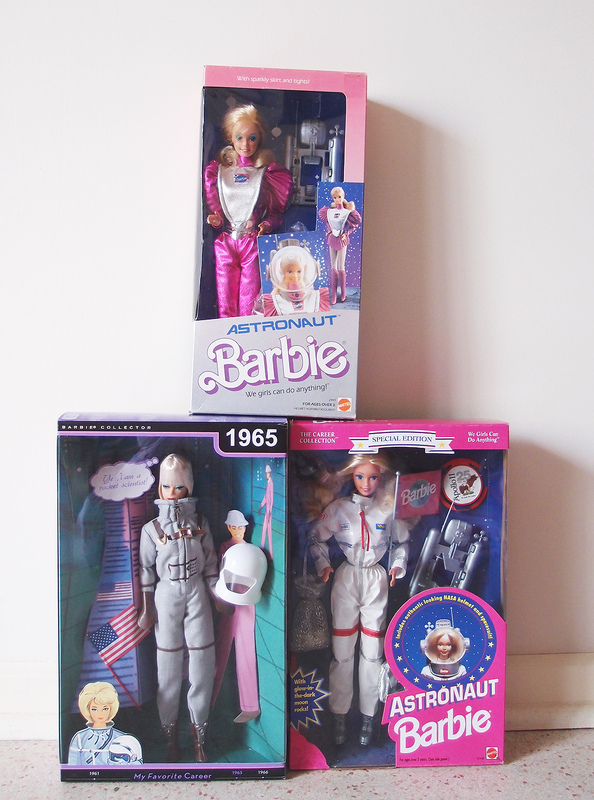 I've developed an attraction to space-themed dolls so I was super pleased to find three astronaut Barbies! I love the pink one - as I said on Instagram she seems more B-grade sci-fi Barbie to me. And here they are displayed on my (tiny) space shelf! I've since added another astronaut that I nearly forgot I had packed away. There was a Wonder Woman doll on the 'lucky dip' table and I was a bit miffed that I didn't draw the ticket for her, so when I found two Wonder Woman dolls in the sales room I was obviously quite pleased. I was also happy to get the Frenchy doll as I'd been so annoyed at myself for not getting more when they were on the shelves. The Bedtime Barbie is one I had when I was little. 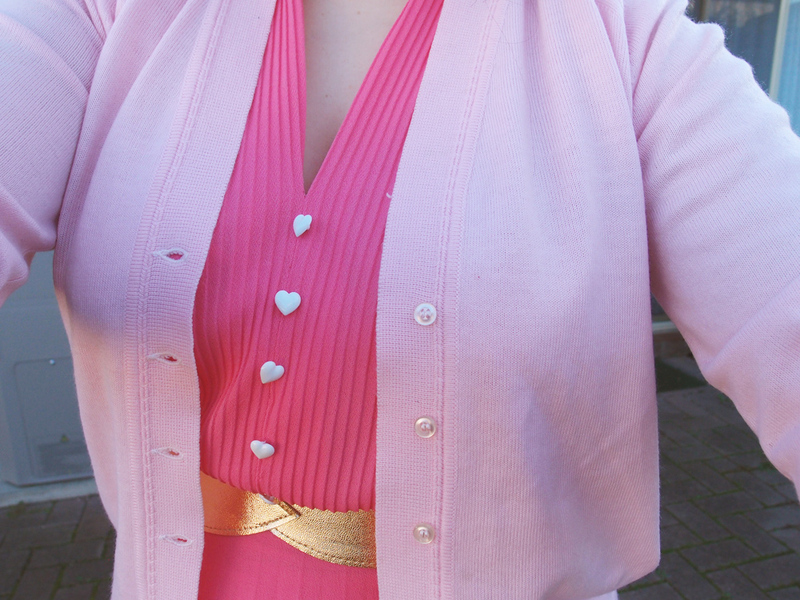 And I also got a partial vintage Francie outfit! Has anyone ever been to a convention like this, whether for dolls or other types of collectors? I'd only been to the two pop culture conventions this past year, Oz Comic Con and Supanova, which are very different formats, of course. 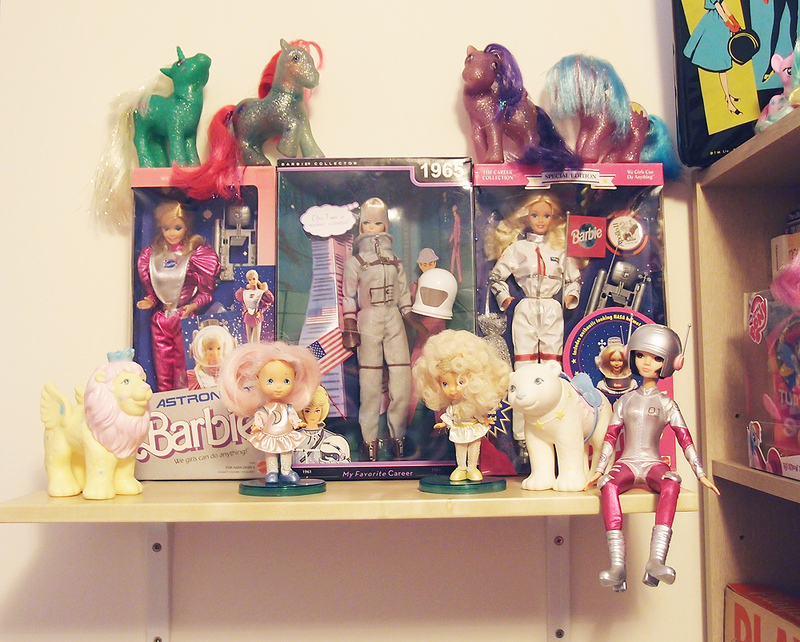 I totally had the astronaut Barbie in the pink box! It came with the silver mesh bag with little glow in the dark moon rocks I believe. :) Haha! What are the odds?! :) Sounds like a fun convention. 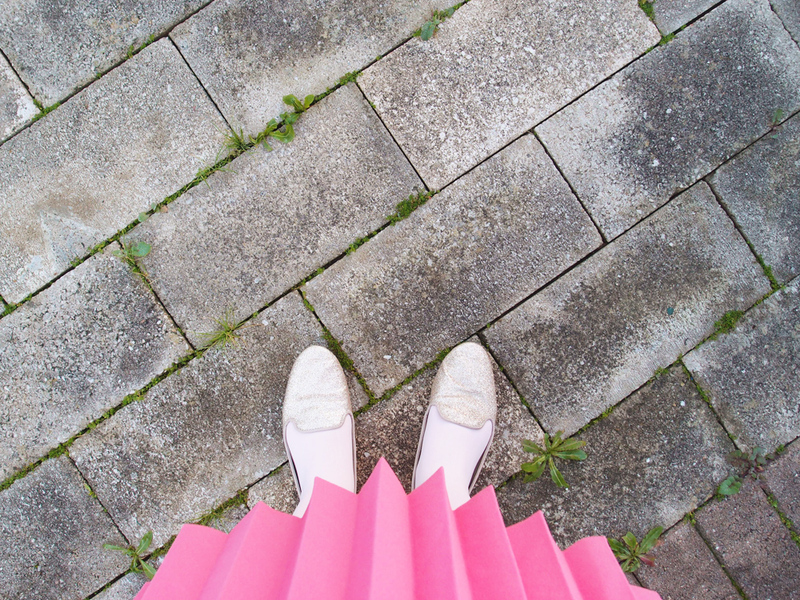 Your outfit is so fabulously pink and pretty, I just adore it! I need a similar light pink hued cardigan to wear with my fuchsia shirtwaist dress so I can take a major style cue from you, dear gal. I adore your Barbie posts so much! It makes me want to call my mother and have her dig out mine. I loved that Barbie was able to do and be anyone. I never saw her as a negative figure at all, body-image wise. She was much more positive for me, because she gave me the notion that I could do anything! Thanks so much for your comment, Janey! I'm really glad you and other people are enjoying them. And I agree! And that's exactly what Ruth Handler was aiming for when she created her - she wanted the girls she was marketing Barbie at to have more than just baby dolls to play with so they could see there were more options than being a mother (which is still a great option) in the world for them. I love the little hearts on your pink dress. So sweet! I just wanted to say that I've really been enjoying your barbie posts!